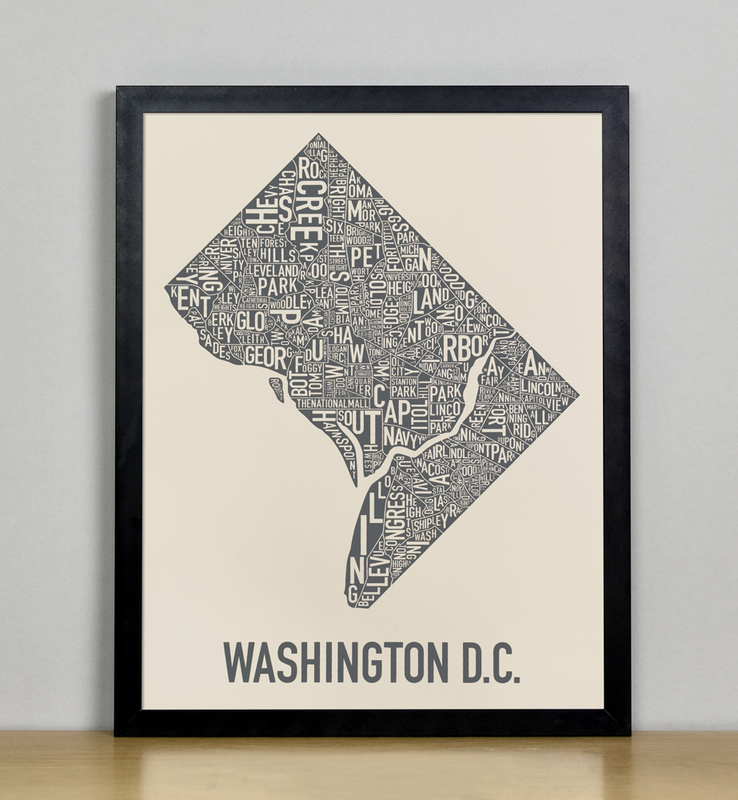 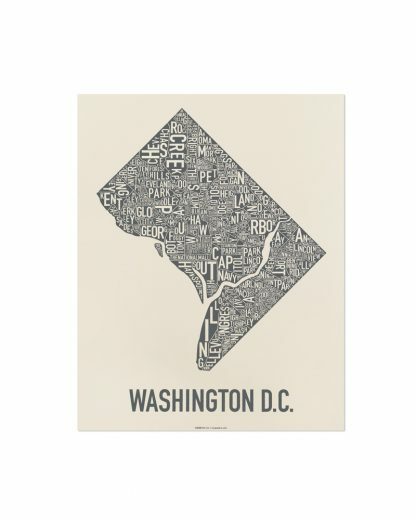 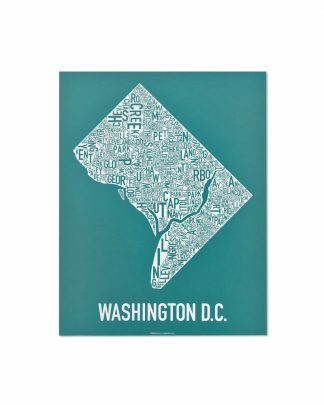 11” x 14” typographic map of the neighborhoods within the city limits of Washington DC. The letters of each neighborhood name are twisted and turned to fit inside the area of the neighborhood. Ork Posters uses only the highest quality of print methods. This print is silkscreen printed which allows us to print saturated inks on colored paper and is a more artistic, hands-on printing process. Water-based ink is used on ivory uncoated poster-weight paper. It is shipped flat in a mailer with chipboard backing for a safe voyage to you.